How to Remove Temporary Tattoos--easy with NO rubbing! but after a while you want them GONE! Check out this fast, easy, and painless way. P.S. It's just as simple to remove Band-aid residue, spray paint, latex paint, enamels, ink, etc from hand, tools, brushes, work tables, kids' knees, and more! What's your best Best Cleaner Ever™ use? 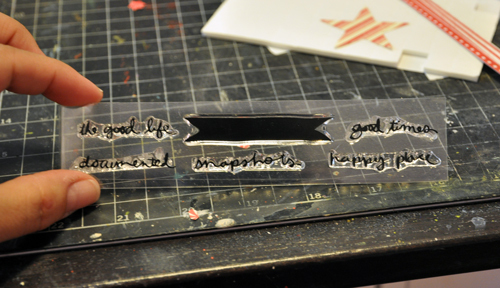 Embossing can be a messy task, so anything that gives me a better result I love. I pulled out this stamp set by Studio Calico. I wanted to use the tiny words on a banner and to make them stand out I decided to emboss them using white embossing powder. First, I treated the paper with the Perfect Crafting Pouch then stamped with Versamark watermark ink. 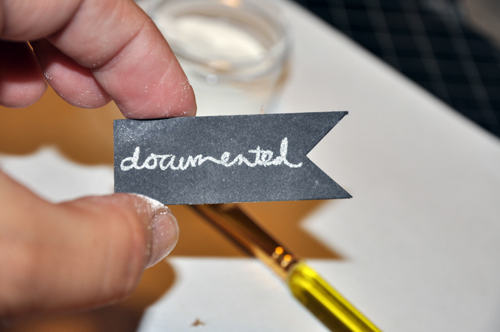 Then I dumped embossing powder onto my paper and shook the excess off. As you can see from my photo, there's no extra embossing powder sticking to the paper. 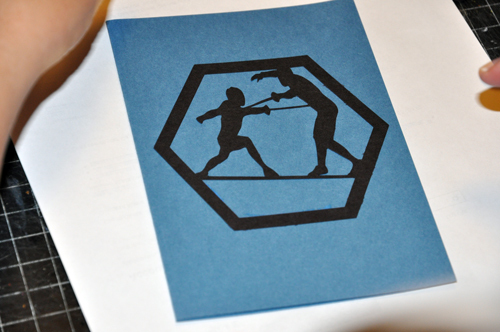 I didn't have to do anything extra to prep this for embossing -- no flicking, no brushing, nothing. Ready to heat emboss! Once the embossing powder has cooled I take my Perfect Cleaning Cloth and easily wipe the banner which removes the extra powder from the pouch. And if you want to see the difference the pouch makes, here's your proof. 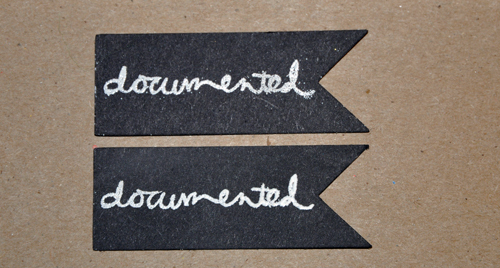 The top banner was stamped, extra embossing powder brushed off (the best I could), then embossed. You can see that there's still little dots of embossing powder around the letters and the edges of the banner. The bottom banner was made using the Perfect Crafting Pouch. This was a super fast assemblage using a folded gift bag I already had on hand and a ready made tag that just needed quick embellishment. The colors and simplicity make it nice and masculine for my husband's Father's Day gift. 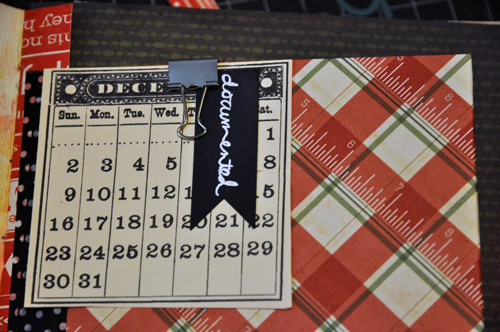 I stamped my ribbon image on the tag, and inked the edges, then used the Perfect Crafting Pouch to dry the ink. I wrote my number "1" in Best Glue Ever and then sprinkled glitter at once. I poured off the excess onto a piece of paper that I had already prepped with Perfect Crafting Pouch to easily return the glitter to its bottle without static cling. By the way, this glitter dried super fast too! 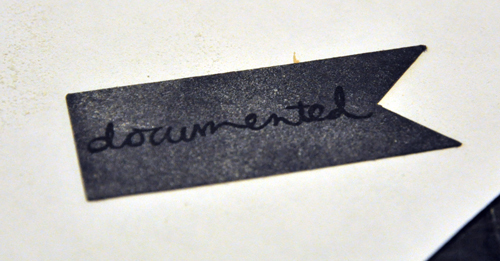 I stamped some random text as extra texture on a piece of coordinating paper. Best Glue Ever made it fast and easy to adhere a border (I could have used ribbon) around the top edge of my bag, the background layer and then the tag. Tiny Attacher staples are just for appearance, along with the masculine black paper cord on the tag. I had a page of Dad themed epoxy stickers, so I popped the letters "D-A-D" towards the bottom of the tag. I punched holes in the short sides and braided more paper cord, incorporating a couple of matching buttons to make the little handle. If you already use Washi Tape you know how FUN this Japanese rice paper tape can be...but have to tried to embellish it??? Watch this short tutorial to learn simple techniques to extend your supplies. Have you tried to stamp it but been discouraged with the faded image? 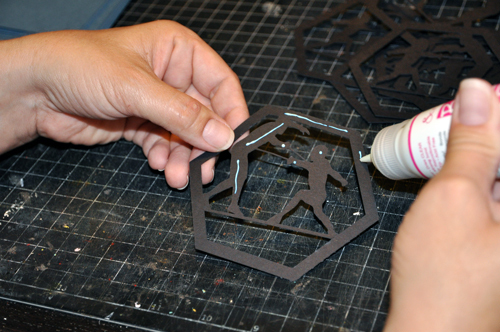 How about stamping with glue? Well--I don't want to give it all away--so check out the video! OH! SPEAKING of giving it away...Want some WASHI TAPE**??? ** Place an order and receive a free roll of tape! You must mention this in the comments box when you place your order. (Tell your favorite color and we'll try to make it happen.) Spend over $50 on products and get two rolls free! Offer expires June 30. Limit 10 lucky customers. Best Glue Ever for Those Small Shapes! My son is having a fencing birthday party this year. Which made things a bit more difficult since I couldn't just buy a premade theme from the party store. As luck would have it, I recently acquired a Silhouette Cameo so I could make all those cool titles and shapes I've been seeing all over the place. And I put it right to work making invitations. 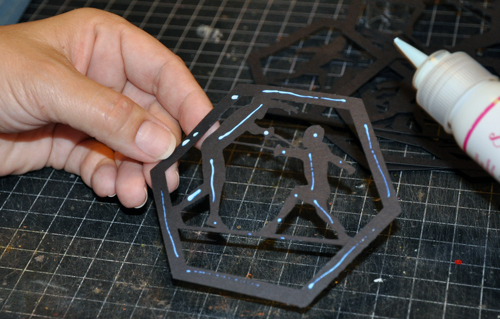 I found this cool Sports Badge Set by Megan Hardy Designs at the online Silhouette store. You'll notice that this design has lots of thin and tiny parts which all needed to be glued to the card so they wouldn't rip off. Luckily the Best Glue Ever has a fantastic tip that allows you to easily make tiny dots of glue and thin lines. Here's one of the cut outs ready to go. Because of the fine tip, once it's put down on the card there's no smearing, leaking or stray glue seeping out.